Do you think that going to see a cosmetic dentist in Southampton is self-indulgent vanity and that you can’t justify the expenditure of getting the smile you have always dreamt of? If so, maybe it’s time to update your opinions so that you can stop denying yourself the many benefits that come from having a great smile that you can use all the time. When you stop being self-conscious about your smile, you will find that you smile a whole lot more. You laugh at jokes more readily, you grin at strangers on the bus, you twinkle at that attractive person. When the first thing people see about you is a big smile, they instantly react in your favour, mark you down in their minds as a warm and friendly soul; someone they’d like to get to know. This is how humans are hardwired to react to smiles. It will happen. And it means that you will have more opportunities to turn chance encounters into meaningful connections. You may find yourself having unexpected job offers or invitations to collaborate more at the job you are already in. If you work in a public-facing job, you may get more great feedback from your customers, inspire more loyalty in them. That feeling that life is worth living comes from social connection. So you will feel happier from all these new connections that you make. Plus, the very act of a good smile releases chemicals in the body that make you feel good. Serotonin is the chemical that makes us feel happier and the more you smile, the more of it you release. The cosmetic dentist in Southampton not only makes your teeth look good, but having them lined up well with fewer cracks or chips makes them easier to keep clean and therefore longer lasting. With all these benefits from visiting a cosmetic dentist in Southampton, what are you waiting for? Book your initial consultation now. This entry was posted in Cosmetic Dentistry on 19th November, 2018 by Smilemakers. Most of us have imperfect teeth, naturally we can have crowded, misaligned or crooked teeth. In addition to this, our teeth are expected to work really hard for us and can break, crack or become stained over time. With all these imperfections, it could lead you to look for a great cosmetic dentist in Southampton for a smile makeover. This may involve braces or aligners, however don’t worry about traditional train track braces of yesteryear, we offer a range of brace and aligners that are virtually invisible. We will look at the best options for you offering braces that are fixed in place or are removeable. 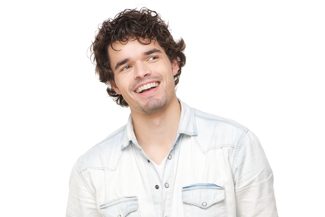 If your teeth are only mildly misaligned, rather than braces or aligners we could offer you veneers. Veneers can cover a range of problems that not only look good but ensure durability of your tooth. They are fitted either as bonded layers that are built up on your tooth or thin sheaths of porcelain that are fixed in place providing coverage for chips and cracks, worn edges, gaps and stains that can’t be removed through teeth whitening. Teeth can yellow over time as they are faced with tea, coffee, red wine, tobacco and certain foods. With a range of teeth whitening options that can be done at the clinic or through home application we can give your teeth their lost white sparkle. 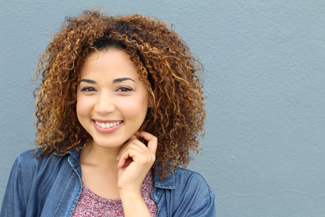 If your smile is needing a full makeover, contact us and we can take you through all your options, ensuring you’ll get the best results possible with your cosmetic dentist in Southampton. This entry was posted in Cosmetic Dentistry on 8th October, 2018 by Smilemakers. Have you been searching for a friendly dentist in Southampton? Here in Southampton is a dentist who is happy to sit and talk dental issues with you. If you have a concern or a worry about the state of your teeth, our dentist in Southampton is all ears… and smiles. At Smilemakers, our dentist can talk you through treatments in a clear and concise way so you can make an informed decision. Whether you need braces, teeth whitening or dental implants, our team is here to provide the highest level of care and attention to all our patients. Our dentist in Southampton is here to have our patients smiling with confidence. A straight smile and healthy gums is not just pleasing to the eye but can affect a person’s overall health. Invigorating their self-esteem, chewing with ease, no trapped food bits, it can even lessen the chance of bad breath. 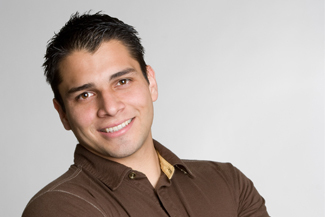 What treatments can our friendly dentist in Southampton offer? Here at Smilemakers our main focus is on cosmetic dentistry and orthodontics. We offer a range of cosmetic dentistry treatments such as teeth whitening, veneers, crowns, tooth coloured fillings, composite bonding, inlay and onlays and dental implants. We are happy to discuss with you any of these treatments. The Damon system, which use fine wires and brackets, making these braces discreet and comfortable. Any age group can benefit from these braces. Fastbraces, which can be made out of ceramic to help disguise their presence. These braces actually work differently to normal braces by moving the crown and the root simultaneously for faster results. Six Month Smiles, which are clear and barely visible. The average treatment time is only six months. For our removable braces, we offer three Invisalign options or Inman Aligners. Invisalign offers clear, custom-made aligners that, create a constant pressure on the teeth, shifting them into the desired place. Invisalign Lite and Invisalign i7 are a variation of Invisalign designed to make simpler teeth movements. 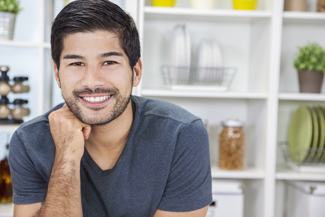 Inman Aligners are another clear, custom-made aligner. Treatment time can range between 6-18 weeks. This entry was posted in Dentist on 17th September, 2018 by Smilemakers. These days it is possible for you to change anything about yourself with a snap of the fingers and believe it or not, this can apply to your smile as well. If you are not 100% happy with your teeth, or even if they aren’t as pearly white as you would like, then with a snap of the fingers these problems can be rectified. All you need to do is make an appointment and we can discuss with you what options are available to transform your smile. So where does the snap of the fingers begin? This is when a cosmetic dentist in Southampton is sought after. At Smilemakers, our cosmetic dentist works with an eye for detail, has a passion for creating beautiful smiles and above all treats each patient with respect, care and attention. The range of treatments our cosmetic dentist in Southampton can offer ranges from a subtle change to a total transformation. Come in for an appointment with Smilemakers to let us know what sort of transformation you are looking for. Our cosmetic dentist will then be able to make an assessment and talk you through the suitable treatments. What sort of treatments are there to choose from? There are many aspects to cosmetic dentistry so it all boils down to what you desire. Treatments can be as simple as getting your teeth whitened. This can be achieved in two ways. The first way is done in the practice and be completed in roughly an hour. A whitening gel is applied to your teeth with sometimes a special light being used to activate the gel. Depending on how white you want your teeth to be, you may need to take a home whitening tray if the desired result is not achieved within that hour. The second way is take-home whitening trays. These are created from impressions of your teeth. You add the special whitening gel and wear it every day for either one or two weeks, depending on the result you want. Other treatments can be more serious such as dental implants. Our cosmetic dentist in Southampton can offer a single tooth replacement, several teeth or even whole arches if necessary. This entry was posted in Cosmetic Dentistry on 10th September, 2018 by Smilemakers.